I love World Book Day and seeing all the fantastic outfits the kids wear to school. Reading is really important for our children in so many ways. My husband Mark and I have read to both our children right from picture books when they were just six weeks old. There’s nothing nicer than snuggling up in bed with your child, reading a story to them and falling into an adventure together. It’s my favourite time of the day. World Book Day started in the UK back in 1998. It’s a great idea for children to bring their favourite book characters to life for the day. 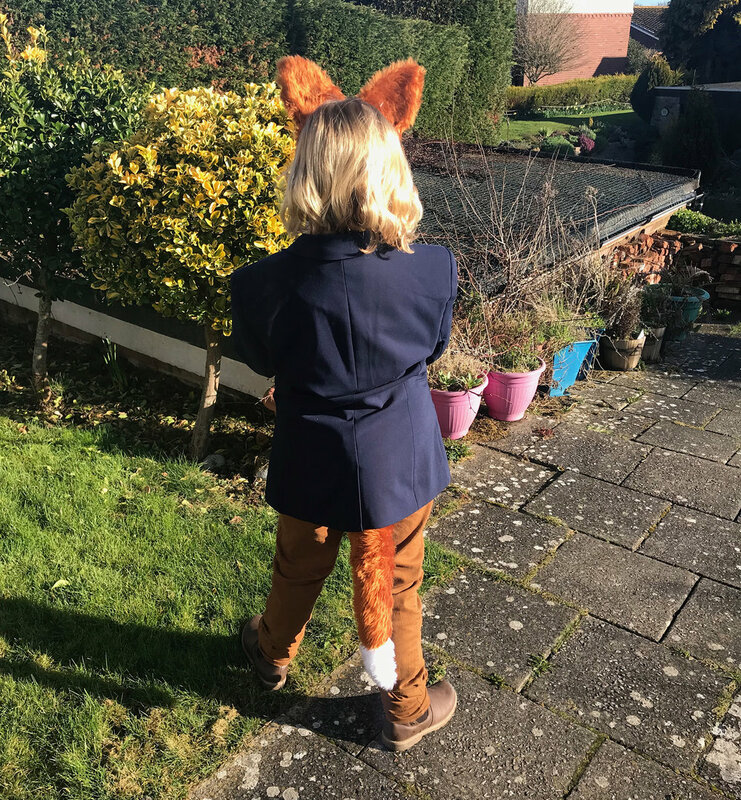 We had a few to choose from, and this year for World Book Day, right at the last minute, our son Jacob wanted to go as Fantastic Mr Fox. The wonderful classic book by Roald Dahl. Now I know some parents get all cross and spoil the fun a bit by adding pressure on themselves to make an amazing outfit. It is entirely up to you and your child how much or how little effort you put in. The kids don’t care, they will probably have taken off their World Book Day outfit 10 mins after getting in to school! I love to sew, but I am not great at it, but I do love to try and make an effort. If anyone is adding stress to me - it’s myself! You can make World Book Day as complicated or as simple as you like. There are so many books out there, so stop adding pressure on yourself, we’ve got enough to stress about haven’t we? This year our son Jacob, wanted to go as Fantastic Mr Fox. I said, ok, no problem with a smile, and immediately clicked on to Pinterest on my phone, and started pinning anything that resembled Mr Fox. Pinterest has been a lifesaver on more than one occasion. This was my go-to place for inspiration. One night, after reading his bedtime story, in one quick search, with Jacob looking over my shoulder, we had found our version of Fantastic Mr Fox. I have lots of pins on Pinterest with sewing projects I know I will never have time to do. But I do like a deadline! Walking at a quick pace, I hit all the charity shops on our local high street looking for items for Jacob’s costume. I was in and out of those shops like my life depended on it. Marching on a mission. I also may have bought a pair of shoes and a top for myself! So, feeling very smug, I called at The Range shop on the way home. I love this place, it is a crafting heaven. I leave The Range armed with Snazaroo face paint in orange, white and black and a couple of sponges for good measure. OK, so the paint cost £3.50 each, so yes, I spent more on the face paint than clothes, but I would use the face paint again..right? I also spotted a very cheap pair of yellow curtains in The Range’s value section. £3, what a bargain! These curtains were going to be Jacob’s new yellow waistcoat. I also bought some crafting wire, to make the ears stand up. And a plain cheap headband to stick them on to. I have lots of fabric in my stash, if I’m honest, my name is Adele and I am a fabric hoarder, there, I said it. But it came in real handy for this as I had some brown and white fur already, so hey, at least I didn’t have to buy that! I do have a very high expectation of myself and the things that I do, I always try my best. So, I wasn’t happy that the bow tie was blue, so I decided I would make one myself. I have never made one before, so again, my friend Pinterest was there to rescue me. It has velcro and everything! It was easier than I though actually, so I had a cute child size bow tie made out of some of the yellow curtain. The fake waistcoat for Fantastic Mr Fox on World Book Day. Don’t look too closely! I faked the waistcoat, by this, I mean, I folded the blue one I bought, in half and used this as a template. I drew around this onto the yellow curtain fabric, and because it was quite thin, and it’s cold outside, I made 2 of the front and 2 of the back. I sewed these together first, ironed them to press the seams, folded them out, then sewed them together at the shoulder and the sides. Then I just tacked a square of brown fur and a bit of white fur behind the neck on the waistcoat. Voila! One waistcoatey looking item. I found some old gold buttons, so they were perfect. I sewed these down the front to make it look like a waistcoat, but with half the effort. I made a template for the ears on a piece of cardboard, then I bent the craft wire to form the ear shape. The next step was to wrap a thin strip of the brown fur around the headband and glue it in place at each end. Then I used a hot glue gun to stick the 2 bits of ear-shaped wire onto the headband. Next, using the cardboard ear template, I traced around the shape onto some brown felt, 4 times. Then I sewed 2 ears together, right sides together, leaving the bottom open. Once I had turned out the ears, I placed them over the wire, and hand-sewed the bottom closed while catching in the fur on the headband at the bottom. Very pleased with how the Fantastic Mr Fox for World Book Day turned out. As I was now covered in brown fur, and sneezing from it getting up my nose, I took a long rectangular piece (adjust to the length you need) of brown, and a small piece of white. I stitched the white piece on to the bottom of the brown piece. Then folded it, right sides together, and stitched down the length of it, leaving the top open for turning the right way out. A bonus of being a fabric and craft hoarder means I have lots of haberdashery bits too, so I had a bag full of stuffing I bought ages ago, but never used. That came in handy for filling the tail. I then stitched it shut. This would be attached with a safety pin to the waistcoat at the back. The navy blue ladies jacket was too big, but I just tacked up the sleeves. I wasn’t going to attempt to modify this shoulder-padded, lined jacket. That’s just too scary. I was still sewing on buttons at 11pm the night before! Before, during and after. Bringing Fantastic Mr Fox to life with Snazaroo face paint for World Book Day. We woke up early on the morning of World Book Day, as I had never done any face painting before. This could make or break the whole look. With a squiggly Jacob moaning his nose was itchy, and moving when I was trying to draw a thing black line, we managed to get there. And there we have it. My not so complicated, expensive in anyway, didn’t take me that many hours to make, Fantastic Mr Fox children’s costume for World Book Day. I am very proud of the overall look and I have made things I never have before. Even though I know when World Book Day is, I always leave it until the last minute, but I work better on a tight deadline. Follow my Pinterest boards to see my inspiration and join Our Family Life on social media. Share your pictures of your children on this World Book Day in the comments, I’d love to see them. Coming soon, our experience on What Would Your Kid Do with Jason Manford. I can't believe how big Halloween is now in the UK. I remember the days when I was a kid, we would go trick or treating in the close that I lived in wearing a bin liner and a cheap plastic mask! I never did throw eggs at any windows as when we knocked on the door, no one said trick! But I wouldn't have dared anyway! Those days are well and truly gone. Now, thanks in part to America, Halloween in the UK is a huge event. Aisles full of Halloween goodies, costumes and so many sweets can be found in every supermarket. Everywhere you look, people have gone bigger each year with fancy dress and decorating their houses. My daughter who loves a bit of gore and zombies, wanted to be made up to look like she had been bitten by a zombie (que the Walking Dead music). So I took up the challenge and headed to YouTube to see if there was an easy tutorial I could find and use things I had lying around the house instead of having to buy lots of expensive special effects make-up. Luckily for me, I found one, and I managed to create an open wound on Amber's head and arm. I can't tell you how easy this is to do, and the effect is brilliant. See for yourself in the pictures of Amber. Step one: Using the paintbrush apply a thin layer of PVA glue onto the skin. Step two: Rip off small bits of toilet paper and stick to the glue. Step three: Continue with the PVA glue and toilet paper layers. Step four: Once you have got about 6 layers on, leave to dry. Or cheat and use a hairdryer on a cool setting for quickness. Step five: Very carefully using small scissors, gently cut a small hole at one end of where the wound will be, just in from the edge. Step six: Cut the glue and toilet paper to the desired length of the wound you would like. Step seven: Gently open the glue to create an opening. Step seven: Trim the excess off, but leave some of the edge sticking up. Step eight: Use foundation and sponge to gently pat make up all over the outside, on the top of the glue and toilet paper. Cover well. Step nine: Dab black eyeshadow in the opening. Step ten: Dip some of the congealed blood and spread out inside the wound, then add some of the lighter (fresh looking) blood around the outside. Looks real doesn't it! Ewwww. I'm really pleased with how it turned out to say I have never done it before. I love a YouTube tutorial. Amber went out trick or treating with her friends, and we decided to do a little Halloween party at home for our son Jacob. Jacob didn't know I would dress up, so he was a little scared when I opened the door when he came home from school. He wanted to wear his Dracula outfit, complete with fangs and dripping blood! We had great fun making Halloween biscuits, we had a couple of fails with the icing though which you will see in the video below. Daddy carved the pumpkins after the kids designed the faces they would like. Does anyone ever make anything with the inside of pumpkins? We always end up throwing it all away! When Amber got back from trick or treating, she had a bag full of sugary goodies. Where we live, we never get anyone coming to our door on Halloween, as we live on a road without a pavement and the houses are quite spread out. But we always get sweets just in case, and what a shame, no one came again this year - oh well, we will have to eat them! When Amber got back, my husband Mark asked if anyone said 'trick'. She just looked at us blankly. She had no idea that if people said 'trick' rather than 'treat', you would have to play some kind of trick on that house. Let's face it, that never happens nowadays. I think our little party was a great success, and now all the decorations have gone back in the loft to wait for an even bigger Halloween next year. I made a video of our Halloween party, see below. We'd love you to subscribe to Our Family Life channel on YouTube. Sometimes it can be tricky getting the right balance in your child's packed lunch. If like us, you have a little fuss pot that only seems to want the same lunch over and over again, then these new Scrummies from Clearly Scrumptious might help you out. These little packs of healthy goodness can get one of your five a day into kids without them realising, thats always a win in my book! Scrummies are a mix of juicy cranberries and succulent raisins with natural fruit flavours. There's no artificial flavours, just lovely soft fruits with nothing added and nothing taken away. With no added sugar, no sulphates, 100% vegan, wheat gluten and dairy free they are a welcome addition to any packed lunch. And you can buy 20 (20g packs) for £10. They are for little ones age 12 months and over. These little packs are great for snacks on the go. If you have a long car journey or are going on a family day out, these are perfect. They come in 5 flavours: Blackcurrant, Cherry, Strawberry, Blueberry and Raspberry. Clearly Scrumptious was developed by founders Rick Wadsworth and James Feddo. While running in the Yorkshire Dales they realised a gap in the market as they were frustrated at the lack of high quality dried fruit snacks available in snack sized portions to carry in their rucksacks for a natural energy source. The Blueberry, Raspberry and Strawberry fruit snacks, sold in a multipack (5x20g) are available in more than 200 Morrisons stores across the UK. And if you parents keep pinching the kids packs, then fear not, they also sell them for adults. You can order them online direct from Clearly Scrumptious and I have a discount code for my lovely readers which will save you 15% off all items in your cart. Just enter Ourfamily15 at the checkout. We decided to do a taste test with our son Jacob. He always gives an honest opinion (like kids do), I think you will see they went down very well. See below for the video. Disclaimer: We were sent some of each flavour complimentary to try. I am kind of getting to grips with my new Canon G7X camera, I love recording footage of our family when we are out and about. I have uploaded our second Day in the Life video on to Our Family Life YouTube channel. In this video we go out for some lunch to a lovely place in Folkestone, Kent called Googies Art Cafe. If ever you are in Folkestone, I'd recommend a visit to Googies, it's a great place and the food is yummy! The kids (and Mark) go scootering on Dover seafront. We enjoy some chocolate cake in the Waterfront cafe where Jacob ends up eating most of the cake! Then it's back home. While Jacob is tired from all that scootering and decides to have a nap, I get chance to chill out for a bit with a cup of tea and have a read of The Sunday People and Sunday Mirror newspapers. In the evening on a Sunday we always like to Skype my mum and dad because they live in Yorkshire. It's a great way to keep in touch with them. Then it's story time for Jacob and time for bed. When the kids are in bed, me and Mark enjoyed a Chinese takeaway and watched a film. It's great to keep memories of those little days out, when in years to come we will have probably forgotten about it! I don't think I am quite ready to take the daily vlogging challenge. I'm really impressed by people who vlog everyday. I don't think anyone who watch videos on YouTube realise just how long they take to edit. It usually takes me around 5-6 hours to edit one video! But I really enjoy the process. I'd love you to have a watch and let me know what you think of it. When I became pregnant with our first child, my husband Mark and I had a big chat about what would happen when I had to return to work after maternity leave. Without hesitation, Mark said he would be a stay at home dad so that I could continue my career as a newspaper designer. He worked in various positions since we left college, and at the time I was Art Editor of The Sunday People newspaper, so he said it made sense for him to be the stay at home dad. We always said if we had children, one of us would try and stay at home if possible. He was very nervous, but looked forward to it. 2 weeks before I gave birth, Mark left his job. Honestly, I couldn't have done it without him. He was and still is amazing. I can't praise him enough. I went back to work when our daughter, Amber was 10 months old. I did feel sometimes I was missing out on the life of our growing daughter. But with the rise of smart phones that could take pictures it helped me stay in touch. Mark would regularly send me photos of what they got up to so I didn't feel left out. But I work 70 miles away from my home, so I couldn't just pop home for lunch. As I work full time, my days off were spent with Amber. Mark always looks after everything to do with the house, cooking, cleaning, washing, and I mean everything! So I was lucky I could spend all my hours off work with her. One day Mark had popped out to do some shopping, so I stayed at home with Amber. I had tried (like you do), to trim Amber's fringe whenever it got a bit long. To do this, I invested in some proper hairdressing scissors, you know the super sharp ones. The scissors were kept out of Amber's reach at all times. Until this one day that I'll never forget. Amber was now 5 years old, and we were happily planning our wedding. We had been together 14 years (we didn't want to rush these things) so in about 6 months we would be celebrating our big day, with Amber as our much loved bridesmaid. Amber was playing nicely, so I sat on the sofa, then I put my feet up. Big mistake! I only went and fell asleep. I'm not sure how long I fell asleep for, but the sight that greeted me when I woke up is something I'll never forget or forgive myself for. Amber had a big chunk of hair in one hand, and the hairdressing scissors in the other. She stood in front of me looking like Dave Hill from Slade. Everything went in slow motion. I thought I was dreaming, sadly not. She had managed to cut all of her fringe off, and there was just a little tuft left like when you plant grass seeds and they first begin to sprout. Mark returned to find Amber with her new hairstyle and me looking like a dog that had done something it shouldn't on the carpet! I was so upset that I had fallen asleep, how could I? I was supposed to be watching Amber. Bad mother! For the next 6 months she went to school wearing a rather large headband on the front of her head to try and hide what a bad mum I was. The headband was also clipped on with some cute hair clips, just to make sure I could hide my shame as much as possible. Bless Amber she kept it on the whole time. I'm sure all her teachers had a sneaky look to see the horror the headband was hiding. Needless to say my husband has never let me forget it, and photographed the evidence! Every so often it gets brought up and we have a laugh about it. Mine is a nervous laugh obviously and it still makes me shudder to this day. He says to me, imagine if it was the other way around and Amber had cut her hair while he was looking after her! Well yes, I wouldn't have been too pleased either! Yes, we do have pictures, of which I have never shown anyone before. And luckily, Amber's fringe had just about grown back in time for the wedding...phew! Amber, now she is 13, finds the pictures hilarious, but I told her how I felt like a bad mum for letting it happen. If only I hadn't fallen asleep! Our son, Jacob is 6 years old, and I still have those scissors, and yes I do cut his fringe from time to time, but they are kept well and truly hidden, I'm not going through that again! I haven't talked about it for so long for fear of being judged by other parents! As parents, we are only human after all and we all make mistakes, that's what I keep telling myself anyway. And after 8 years, I can finally talk about it! Has your child ever cut their own hair? Come on, I can't be the only one! Leave a comment below. I love pom poms! At work in The Sunday Mirror we printed a picture of Paloma Faith wearing a fantastic jumper covered in pom poms. People at work know I like to craft, so I said I would do a step-by-step tutorial for the paper. I also made a video. Who doesn't love a soft, squishy pom pom? They're all the rage at the moment with many pages on Instagram dedicated to the brightly-coloured balls of fluff. A great accessory to bring a pop of colour to any outfit. Gone are the days when you have to spend hours making one pom pom. I remember cutting out 2 circles of card from a cereal box and spending ages threading the wool through the circle and over, through the circle and over, again and again. Yawn! I love gadgets, especially ones that are time-savers. 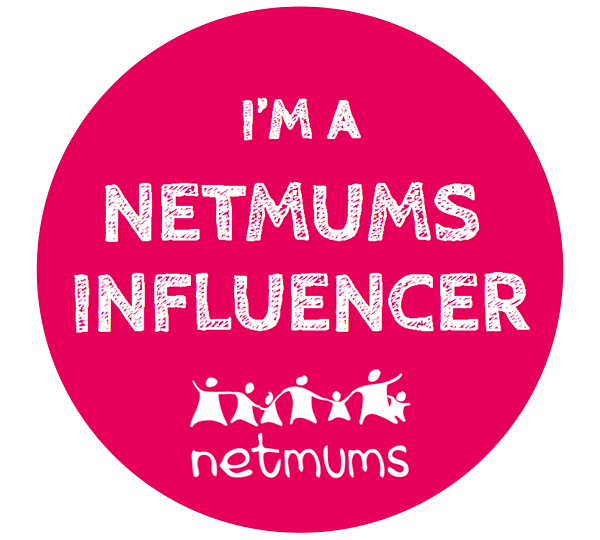 As a full-time working mum of two children, anything that saves time gets my vote. Whoever came up with this little time-saving gadget deserves a crafty medal, or maybe a pom pom garland. The Clover Pom Pom maker, a favourite of craft queen Kirstie Allsopp and should be in every crafters sewing box. You will find 4 different sizes in my favourite craft shop - Hobbycraft. They can look a bit tricky to use, so I have done a step-by-step guide on how to use them. I've even recorded a video so you can watch and pause every step of the way. I learn so much of my crafts from watching videos on YouTube. Wrap the wool around one of the arcs (one arc is formed of two arms). Continue to wrap the wool around until the arc is completely covered. Repeat for the remaining arc. Close both the arcs. Insert your scissors into the slit on the side of the machine, and cut all of the way around both arcs. Insert a piece of wool into the middle of the machine and pull tight, secure in place with a knot. Gently remove the pom pom by releasing both arcs of the machine. Remove the central sections by gently pulling on both sides. Trim off the little sticky out bits. I have made a step-by-step video. Enjoy! World Book Day is on Thursday 2nd March. I know lots of parents panic about World Book Day because of the stress of finding something for your little one to wear that even slightly resembles a character from their favourite book. It can be a bit overwhelming. Luckily for a lot of parents, supermarkets seem to have finally cottoned on to the idea that we need an easy way to dress up our kids without breaking the bank. My son Jacob will be dressing up as Cat in the hat. He loves the outfit, and I didn't even have to make it! We bought the complete outfit, hat and all from our local supermarket for not much money. Yes I feel like a bit of a cheat, but hey, it made things easier this year and I'm all for that! Our teen daughter Amber is too cool for dressing up now, but in the past she went as Katniss Everdeen from The Hunger Games and Hermione Granger from Harry Potter. We still have the Harry Potter robes so when Jacob is a bit bigger, he will be Harry on a future World Book Day. The joys of hand-me-downs! I got all flash one year and managed to make Jacob a Peter Pan meets Robin Hood outfit for World Book Day a couple of years ago out of green and brown felt. I found a pattern online. My husband Mark and I have managed to cobble together some outfits in the past for World Book Day. But if you're not a dab hand at sewing, then this infographic from Bright Horizons will help you put together key pieces to create your kids favourite book characters. I absolutely love Hobbycraft. I'm like a kid in a sweet shop whenever we visit. I spend ages in the shop looking at all the lovely crafty things available. My husband Mark usually leaves me to it as I'm in there for at least a couple of hours. Easter is fast approaching, and I can't wait for spring to arrive. It's the first time we've been to the cinema since... well I can't remember the last time! 20 years ago we watched the original Trainspotting in the cinema and I thought it fitting that we did the same with this one. When daddy 'helps' with homework - but ends up doing it all! You know when your child comes home from school, you look in their book bag, and then you see it, the dreaded letter that says: We would like you to make a model of a dinosaur. My reaction is yikes, my husband Mark's is woohoo! If you have a little one who likes to get themselves dressed in the morning, your nice tidy T-Shirt drawer can become messy. I love that my son knows what he wants to wear, and we always encourage him to get himself dressed. So I decided to tackle the drawer and make it easy for little hands to grab a T-Shirt. This is what my four year old son's T-Shirt drawer looked like before I tackled it! Grab a T-Shirt and lay it front down on a surface - the bed is good as you can sit down while you tackle the mountain of T-Shirts! Fold in the sleeves towards the back of the T-Shirt. Grab one whole side of the T-Shirt and fold in to the centre, and do the same on the other side. Fold up about one third from the bottom. Fold up the bottom third to meet the top. Turn the T-Shirt over.. and there you go! Easy peasy! Lovely folded clothes. This gets much easier and quicker the more you do it. Look how much space I have saved! Also much easier for little hands to get a t shirt out. I have also shown my 11 year old daughter how to fold clothes like this so she has done her clothes too, and she enjoyed it! I'd love to hear any tips on how you keep the kids clothes tidy. Leave a comment below. Are you superstitious? Most people say 'Of course not'. But how many of you touch wood, don’t walk under ladders, don’t open an umbrella indoors, or if you spill the salt, throw some over your shoulder? Ah, now you might say yes! I am superstitious to a point, I always say 'I salute you Sir magpie', if I see one on it's own, no matter where I am, who I’m with or what I am doing, and yes this can cause some funny looks from people wondering what on earth I am up to, especially if I'm driving my car on my own! I have read some really unusual superstitions throughout the years and I thought I’d list a few. I still do most of these! So you might think getting out of bed is easy enough, but you’d be wrong. You must get out on the right side (the side you got in). If you don’t, you will be irritable all day and your friends will say ‘Did you get out of bed the wrong side this morning!’ You must also put your right foot out of bed first or you will do things wrong all day. If you discover a knot in your shoelace, that’s lucky! You must put on your right sock and shoe first, if you forget, you are likely to have an accident before the day is out. Ever put an item of clothing on inside out? It’s lucky, but only if you keep it like that all day! Never put new shoes on the table, this is bad luck. Salt was a precious commodity in the days before freezers and cans, as salt was used to preserve food. Because of it’s value it was thought to be unlucky to spill even a grain of it. In Yorkshire (I’m a Yorkshire lass), it was thought the devil lurked around the table at meal times, waiting to do mischief. Spilt salt gave him the chance he was waiting for. To foil his evil plans salt had to be thrown over the left shoulder by the person who split it, where it would hit the devil straight in the eye! In early times crossed knives were a sign of hostile intentions, it was important to lay your knife tidily on the plate next to the fork. Many people still do this. If you have a spare knife, put it under the front door mat - it will keep the witches out! After breakfast, don’t throw your eggshells on the fire or the hens will stop laying. If you have to pass under a bridge, try not to speak when you walk under it - it’s thought to be unlucky to walk or drive under when a train or car is passing over the top. If you do accidentally walk under a ladder, you can solve the problem by crossing your fingers and keeping them crossed until you see a dog. Do not pass anyone on the stairs, this is bad luck, but you can get rid of the bad luck by crossing your fingers or touching wood. So if you see someone walking around with clothes on inside out, throwing salt, saluting magpies whilst walking around with knotted shoes, say hello to me! I'd love to hear what things you do if you are superstitious. Leave a comment below.